College is priced as a luxury, but each year it's becoming more and more of a necessity. Not only do you have to pay for tuition, but you also have books and living expenses. And with all your effort in your college education, it would be difficult to work full-time to pay for those expenses. Your only choice is to think of ideas for how to save money in college. We're going to give you all the information you need to be able to attend school and eat... maybe even better than ramen noodles every night! We've identified the top five areas you can save in and how to maximize those savings! College Myth: You have to attend the most expensive/exclusive school you get in to. No! Attending a more affordable school with great resources and faculty can save you money and give you a leg up in the job hunt. College is expensive, and it seems like that's not going to change anytime soon. But you probably already knew that. That's why you're looking for ideas for how to save money in college. From tuition to housing to living your life, the cost of college adds up. College tuition prices are rising. The average price of tuition and fees at private schools for 2018-19 is $35,676. In-state public schools cost $9,716, and out-of-state public schools costs $21,629. Room and board can cost over $10,000 simply for housing and a meal plan. Books and materials can easily top $1,000, though there are ways to bring down the cost. Other expenses, like transportation, will vary based on your city and whether you live on or off campus. Let's look at one of the best ways to save money in college because the cost doesn't stop there. Scholarships and grants are two types of financial aid for students. What makes them better than loans and other types of aid? If you take out a loan, you will have to pay that money back at some point. Scholarships and grants don't require repayment. If you earn a scholarship or qualify for a grant, you can save hundreds if not thousands off your tuition costs. Some scholarships and grants even let you use the funds for other related expenses like housing and books. Whether you're a first-generation college student or you come from a well-educated family, you should apply for scholarships. You never know unless you try, and it's totally worth your time. You can apply for scholarships and grants from many different places. The first place to look is your current or future school. Some schools offer departmental scholarships, and some schools even offer scholarships to students from particular states. You can also find scholarships and grants online from the government, professional organizations, and scholarship websites. Each organization or website will have its own application procedure, so look into each of the scholarship or grant funds that you're interested in. Financial Aid Fact: Over 80 percent of college students receive some form of financial aid. Don't be ashamed if you need help paying for your education. A part-time job can be an excellent way to ease the financial burden of college. Working can also have other benefits such as providing you with job experience or improving your time management skills. Those time management skills might even help your GPA. But should you work while you're in school? While a part-time job can be a great addition to your schedule, you should still prioritize your classes. If you have time-intensive classes or your major keeps you busy enough, maybe stick to working during the summer. Students in engineering, medicine, and even music can have full schedules that don't allow for much, if any, time for a job. Take a look at your schedule as well as your personality. If you need more time to decompress or sleep, you might not be able to work as much. Consider your classes and your personal life; then you can decide if a job is worth it. Remember! You're a student first. It won't matter how much money you make from a job if your grades suffer. If you choose to work during school, you will have to figure out how to balance work with school and your personal life. Look for jobs on campus, because they will understand the demands of your classes. Consider non-traditional jobs like babysitting or dog walking, because you can usually set your own work schedule. Set priorities. Of course, you will have to work, but don't be afraid to call out if you have a big test to study for. There are many ways to cut costs as a student. Everyone will have their own favorite ideas for how to save money in college. As much as you may want to pinch every penny you get, don't force yourself to save money. Saving money should be something you do because you want to and not because you feel like you should. If your friends want to go to the movies, don't feel bad for hanging out with them. Yes, things cost money, but there are times when you can justify spending money. You don't want to spend money all of the time, and it's important to have a few ideas on how to save money. Not every method will work for you, and that's okay. Choose the things that work and ignore the ones that don't. There are five main categories where you can cut costs and figure out how to save money in college. Let's start saving you some cash. Tuition and fees make up a huge part of the cost of college. If you want to know how to save money in college and how to really decrease your bill, you need to lower the cost of tuition and fees. We already mentioned scholarships and grants, but getting a scholarship isn't the only way to lower your tuition. If you're concerned about tuition costs, then you should consider schools where you won't have to pay as much. In fact: In-state schools to community colleges are two that could save you money without lifting a finger. One of the most significant price hikes you will find when looking at colleges is tuition at private schools. You don't have to go to an elite private school to get a good education. One of the best ways for how to save money in college is to go to a public school. Public schools are just as good as private schools, so check out what they have to offer. Now, look at the schools in your state. Public universities can cost a lot less, but that's thanks to in-state tuition. If you go to a public school in another state, you will have to pay more in tuition that students from that state. While it doesn't make a whole lot of sense, just give your state schools a chance. Tuition Partnerships: Many states have partnerships with other states to offer discounted tuition. Is your dream school in the next state over? See if they offer a discount to students from your state! Many schools charge tuition by the credit hour, but some schools charge a flat rate. If you take a certain amount of credits in one semester, you will pay the same amount even if you decide to add another class. While not many schools do this, attending one of these schools is a great idea for how to save money in college. If you know how to manage your time, you can add an extra class to your schedule for free. Then you can graduate in less time and for less money. Community colleges are the most underrated way to start your college education. And they're an amazing way for you to save money. These schools typically have lower tuition costs than four-year schools. You can figure out how to save money in college at a community college because they have the same resources as larger schools but for a fraction of the price. If you don't know what you want to study, community college is perfect because you can take a variety of classes at a lower cost. Starting at a community college is one of the best ways for how to save money in college. Don't waste thousands of dollars just to take classes if you don't have an end goal. Another benefit to community college is that you can earn an associates degree. So, if you don't go on to a four-year school, you will still have completed a degree. If you're still in high school, ask your school if they offer any dual credit courses. These are usually advanced courses that bridge the gap between high school and college. Sometimes, you can take these courses for free or at a discount. The best part is: You make progress toward both your high school diploma and college degree. Everyone knows how expensive college textbooks can be. Then there are other supplies. Depending on your major, you might need to purchase scrubs, a paint set, or a variety of fiction books. You can learn how to save money in college on your books. The easiest way to save money on your textbooks is to rent them. If you rent your textbooks, you pay the rental fee at the beginning of the semester. Then you have to return them by a certain date, usually around the end of finals week. Renting can also keep your space from getting cluttered with excess stuff. 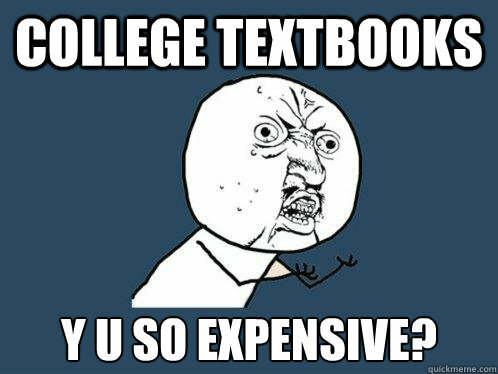 If you want to really save money, rent your textbooks online. Bookstores love to charge more even for rentals, and stores like Amazon can offer even cheaper deals. Sometimes, you might want to own a copy of the textbook. This is especially true for classes in your major. Buying used textbooks can save you a ton of money. You might get a copy that isn't in great condition. Please include an image of tattered books. However, if you can choose the copy yourself, buying a used textbook is a great way to save money and get a textbook in good condition. If you want a plan for how to save money in college, splurge on a tablet. The purchase might seem counterintuitive, but plenty of textbooks have digital versions. Digital textbooks save space in your backpack for that extra cash you save by not purchasing a physical copy. Digital Truth: Digital textbooks keep your backpack light, so your back won't hurt after a long trek to class. Just be sure to keep your tablet charged. While not saving money per se, selling your old textbooks is an excellent way to make back some of the money you spent on them. Hop online and let friends know you have a textbook for sale. You can take your textbooks back to the bookstore, but they probably won't give you as much for them as you can get by selling them yourself. Do you have a friend in one of your classes? The two of you can share it, and you have a great excuse for a study partner. If you want to share with a friend, make sure you agree on how to split the cost and where to keep the textbook. In college and beyond, housing is one of the biggest expenses of adulthood. Whether you live on campus or off campus, the cost of room and board can really add up. There are tons of ways to save money on your housing. Not everyone can stay at home with their parents. We have to recognize that it's a privilege to live at home. It is a great way to save money on housing. If you go to school in or near your hometown, staying at home will save you thousands over a dorm or apartment. Pro to living at home: home-cooked meals! Of course, some of us need our space. But if you don't mind sharing that space, a roommate can make housing much cheaper. Instead of paying all of the rent, you only pay half! Sharing a slightly bigger space might even be better than having a smaller space all to yourself. You don't need the biggest, most luxurious apartment or house. Instead, focus on finding a place with a good location and that has just enough space for you. The truth is: You can always move to a bigger place if need be. Another thing you want to think about is location. Is the apartment close to campus? Are there nearby grocery stores or bus stops? Think about what you want in a home, and prioritize those things when apartment hunting. If apartments near campus are more expensive, it might be worth living a little farther as long as the savings is more than the added transportation cost. So, get your calculators out. You should also consider the area you'll be living in. Make sure you feel safe and comfortable. Bottom line: As much as you want to save money, that savings isn't worth it if you hate the place. Another cost that can add up is transportation. If you want to use transportation for how to save money in college, check out these ideas. If your school has on-campus housing, living near your classes is a great way to save on transportation. Living on campus means you don't have to drive to class so that you won't use as much gas. If you don't want to live in student housing, look for places near your school. Logic states: The shorter your commute, the less money you will have to spend on transportation. If the city has a public transportation system, take advantage of it. riding the bus will lower the amount you spend on gas. It will also save you from having to find a parking spot on campus. Have a friend who also lives off campus? Form a carpool! You can try and make similar class schedules, so you won't have to wait around for the other person to get out of class. You can spend your extra time in the library. If you live too far from campus, you may not like this option. It doesn't have to be all or nothing. You can combine it with driving or riding the bus. Even if you don't want to walk or bike to school, you can walk or bike to places in your neighborhood. Do that for a variety of errands, and the savings will add up. Logic states: While the bus is a great transportation option, it might not be so great if you have night classes. Double check the bus schedule to make sure you will have a ride back home. Food and lifestyle costs can get expensive, but this area is probably the easiest place to cut costs as a student. And, no, we're not saying starve. Consider these ideas for how to save money in college on your food and entertainment. If you don't have to have a meal plan, don't have one. You probably won't eat every meal at the dining hall, so that money is essentially wasted. Go for the cheapest option. If you end up eating on campus more than you thought, then you can ask your school about upgrading to a higher meal plan. If there's a food you know you'll eat a lot of, buy it in bulk. That could be anything from produce to snack bars. Buying food in bulk will almost always be cheaper than buying that same amount over time. Always look at the per unit price. It's a good way to see if you're actually saving money. We're not saying to never eat out. You should treat yourself occasionally. Save those delivery fees and make your own food. You don't have to cook a five-star meal, and you can make the same thing from night to night. Let's use Ramen as an example. Ramen noodles are very cheap, so you can have a meal for less than a dollar. The average meal out which costs about $7. Add in a $3 delivery fee and a 15 percent tip for the driver, and you're out over $10. Do that every day, and eating at home can save you over $50 in a week. Many stores and restaurants offer student discounts. Don't be afraid to ask about student discounts, because you won't have those discounts forever. You can also check with your school about special events for students such as movie nights or free pizza lunches. We mentioned working while in school. If you choose to find a job, be strategic. If you love sandwiches, get a job at a sandwich place so you can get food for free or eat at a discount. Are you a makeup lover? Apply to your local Sephora or beauty shop so you can use their employee discount. We came up with lots of ideas for how to save money in college. But our list is by no means extensive. Some of the best ways for how to save money in college include applying for (and getting) scholarships, living at home, and renting your textbooks. If there's an area where you believe you can cut costs, do it. You can use that extra cash for necessary expenses. And if you can lower costs such as rent and food, you will find your savings will really add up. If you know how to save money in college, you can put that extra money aside or towards other expenses. That will set you up for success after you graduate. Do you have any money saving tips to share while you're in college? We would love to hear about them in the comments!